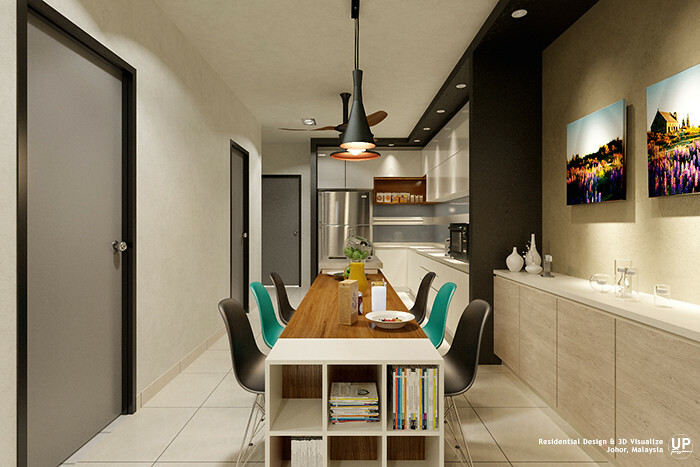 A modern contemporary kitchen design for a lovely three-generation family. With their favourite color of black and white, we added on a little touch of wood-grain texture and color to create a harmony space for the family. 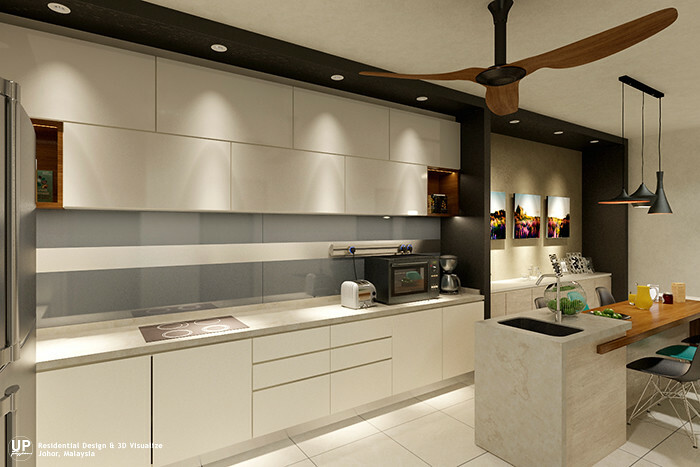 The layout of kitchen in a long rectangular shape, which challenge the designer with the perfect space planning. 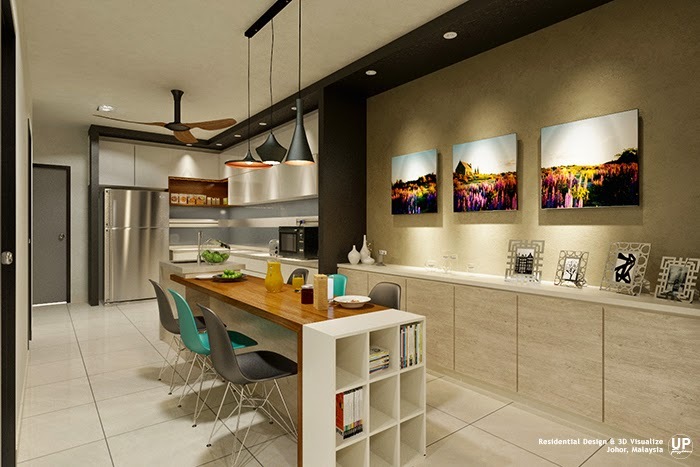 With owner's preference that would like to have a breakfast island integrate in the kitchen; designer gave suggestion on the table height that considering of little children and elders, create another comfortable space except the formal dining area for having their breakfast or tea. Beside with a magazine or book rack that giving convenient with the hobby of reading. A dark grey color frame is the highlight; goes from floor to the ceiling and create two spaces of kitchen cabinet and display area. Grey color back painted glass for middle panel of kitchen cabinet, leave a gap in between for the power track, it present in a more tidier and clean look.